The latest American Library Association (ALA) Book Club Central SJP pick, chosen by Honorary Book Club Central Chair Sarah Jessica Parker, is STAY WITH ME by Ayobami Adebayo, published by Knopf. Shortlisted for the 2017 Baileys Women’s Prize for Fiction, and named a Notable Book by the New York Times, STAY WITH ME is Ms. Adebayo’s debut novel. Set in Nigeria, this book gives voice to both husband and wife as they tell the story of their marriage – and the forces that threaten to tear it apart. “Libraries have always been places of comfort and discovery for me, so I'm especially delighted that STAY WITH ME is Sarah Jessica Parker's pick for this American Library Association initiative,” said Ms. Adebayo. “STAY WITH ME is a wise and deeply humane debut novel that unpeels the layers of politics in a marriage from the inside,” says Ms. Parker. “Ayobami Adebayo tells the story of Akin, Yejide, and their families – a powerfully affecting tale of love, loyalty, and betrayal – with both savagery and heart. I can’t wait for readers everywhere to read and enjoy this novel as our third selection for Book Club Central.” In addition to being honorary chair of Book Club Central, Ms. Parker is an Honorary Lifetime Board Member of United for Libraries, a division of ALA, a role she is using to raise awareness about the integral role of Friends groups in the library. 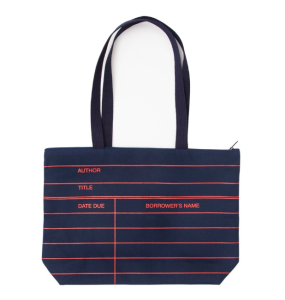 Ms. Parker’s SJP Book Club is thrilled to announce a limited-edition tote bag to help support libraries, now available exclusively for the holiday season from Out of Print. A portion of the proceeds will be donated to United for Libraries. Book Club Central (www.bookclubcentral.org), designed in consultation with expert librarians, provides the public with the very best in reading. Book Club Central debuted this past summer and since that time has become a place for engaging content and information for book clubs and readers everywhere. Ms. Parker’s previous picks for Book Club Central have been No One is Coming to Save Us by Stephanie Powell Watts, and EXIT WEST by Mohsin Hamid. Ms. Parker recently launched SJP for Hogarth, which will selectively publish high-quality works of fiction by both established writers and distinctive emerging voice with critical and commercial promise. SJP for Hogarth’s first acquisition is A PLACE FOR US, a debut novel by Fatima Mirza to be published in 2018. Ms. Parker is the star and executive producer of Divorce, which will return for a second season in January 2018.
reader Sarah Jessica Parker is partnering with the ALA to serve as the Honorary Chair of Book Club Central. 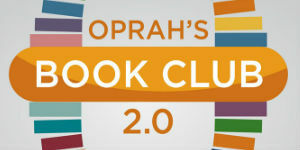 As honorary chair, Ms. Parker will provide a selection of recommended titles for Book Club Central throughout the year. 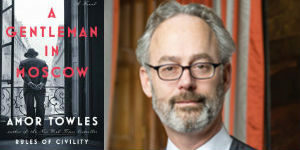 She will unveil her inaugural pick at the official launch of Book Club Central, which will take place during the President’s Program at the ALA Annual Conference and Exhibition in Chicago on Saturday, June 24, at 3:30 p.m. at McCormick Place West. “I can’t think of anyone more perfect than Sarah Jessica Parker to be the American Library Association chair of Book Club Central,” said ALA President Julie Todaro. “Ms. Parker is an advocate for libraries and literacy issues, has served on a Presidential Task Force to integrate literature and drama into schools, has experience starting a book club, is the Editorial Director of a new line of books: SJP for Hogarth, and is – most importantly – a lifelong reader who shares her love of reading with others. The ALA is lucky to be able to share Ms. Parker’s passion and expertise with book clubs and readers everywhere.” Said Ms. Parker, “From an early age, books were my constant companions and my local library a place I could find a new friend on every shelf. 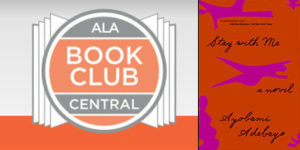 It is a great honor and privilege to partner with the American Library Association and Book Club Central. 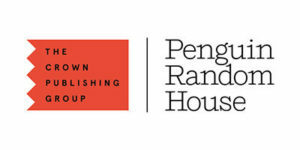 I’m thrilled to help champion original voices for dedicated readers as well as for a new generation, supporting libraries in what they do best.” Ms. Parker recently launched SJP for Hogarth in partnership with Molly Stern, Senior Vice President and Publisher of Crown, Hogarth, Broadway, Crown Archetype, and Three Rivers Press. SJP for Hogarth will selectively publish high-quality works of fiction by both established writers and distinctive emerging voice with critical and commercial promise. In this new role, Ms. Parker will be involved in all aspects of the publication process, from their selection and acquisition to cover design and promotion with her vision providing the editorial foundation for each publication. Libraries and librarians are champions of reading and fostering love of books. Whether it’s through early literacy programs for children, one-on-one tutoring or community-wide reading initiatives known as “One Book, One Community,” libraries and librarians are transforming lives through reading and lifelong learning. According to Pew Research, more than 78 percent of Americans believe that libraries are effective at promoting literacy and love of reading. Book Club Central is being designed to provide the public with the very best in reading. Book Club Central partners include Booklist, the book review magazine of the ALA, and United for Libraries, a division of the ALA.